2019 marks an important milestone for one of the oldest running farmers markets in the Virginia Commonwealth. 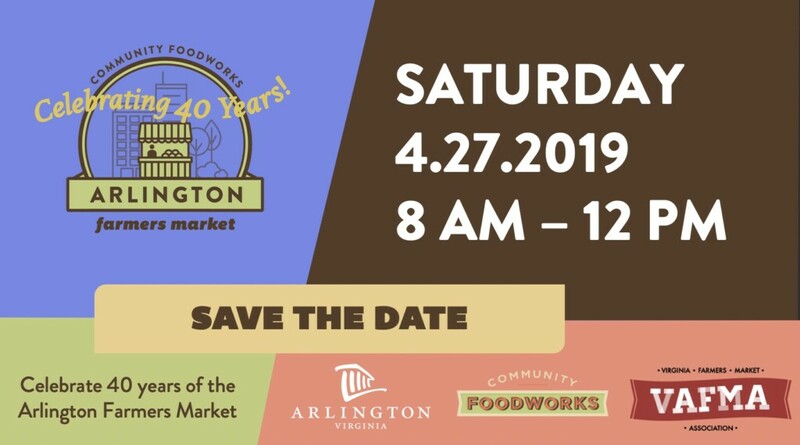 The Arlington Farmers Market was founded in 1979 and will celebrate 40 years this spring, with a special commemorative event on April 27th, 2019, including kids’ activities and a keynote speech from Dr. Jewel Bronaugh, Commissioner of the Virginia Department of Agriculture and Consumer Services. Community Foodworks (CFW) will provide monthly at-market activity programming through the summer and fall on the fourth Saturday of each month. Founded in 1979 by Ellen Bozeman, the longest-serving Arlington county board member to date, the Arlington Farmers Market has supported farmers and producers for four decades by running a producer-only farmers market: everyone you talk to at market can tell you the story of their products. During the prime season, the market hosts more than 40 farmers and vendors offering fresh fruits and vegetables, sustainably raised meats, eggs, and fish, artisanal bread and baked goods, dairy products, dog treats, and more, all grown or produced within 125 miles of the market. “I have been part of this market for thirty years”, says Jesus Ochoa, owner of Linda Vista Farm located in Westmorland, Virginia. “We have a family business. My children have grown in this market, and now my grandchildren have joined us”. The market also plays an important role in improving health in the County, allowing residents with fewer resources to access high-quality products sold at the market. Since 2015, the nonprofit Community Foodworks has implemented incentive programs that provide a dollar-for-dollar match on all Federal benefits spent on fresh and nutritious produce and foods at the market. “These programs empower participants by increasing their purchasing power: with more money in their pockets, low-income customers increase their fruit and vegetable consumption, helping the local community stay healthy” explains Hugo Mogollon, Community Foodworks’ Executive Director. 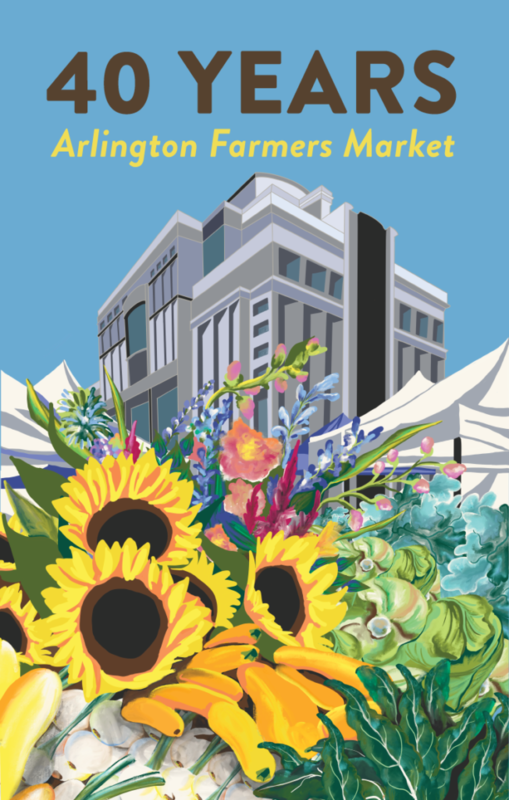 We invite everyone to join us this season, bring a friend, bring the family, or strike out on your own and enjoy all that your local food community has to offer at the Arlington Farmers Market! Community Foodworks is a DC based non-profit organization that operates a portfolio of innovative food access programs through network of vibrant farmers markets, farm stands, and partnerships designed to improve the health and wellbeing of Washington DC Metro Area residents. CFW programs include matching programs, Veterans vouchers, food gleaning initiatives, and CSAs and wholesale deliveries. By incentivizing low-income customers to buy healthy, local food while developing new distribution channels for local farmers, CFW builds a stronger, more inclusive local food system.